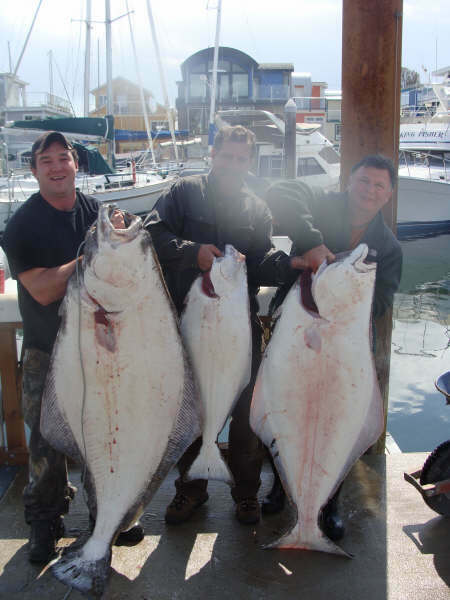 No Bananas Fishing reports some hot hot halibut fishing off Victoria waterfront this week. 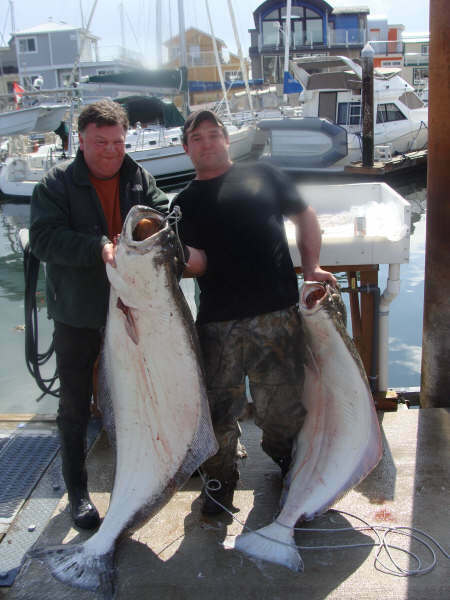 "Fishing is still excellent, we limited every day this week with some consistently bigger fish. 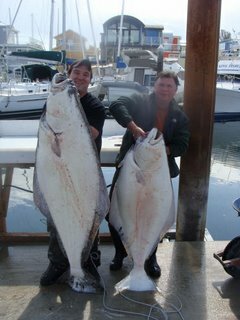 The first pic is from the McGivern group with the largest being 80lbs. 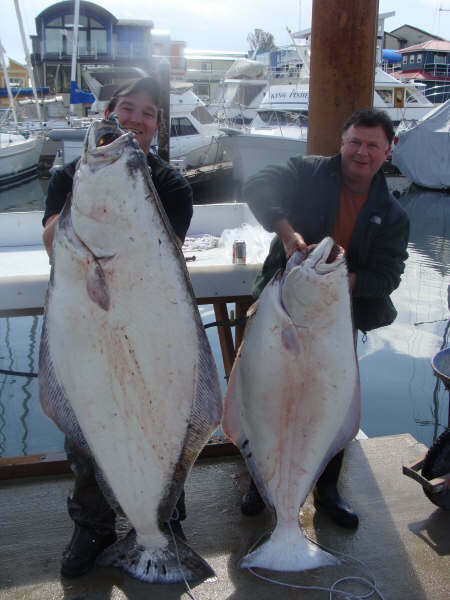 The second is David Burkhard with a 131lb beauty. 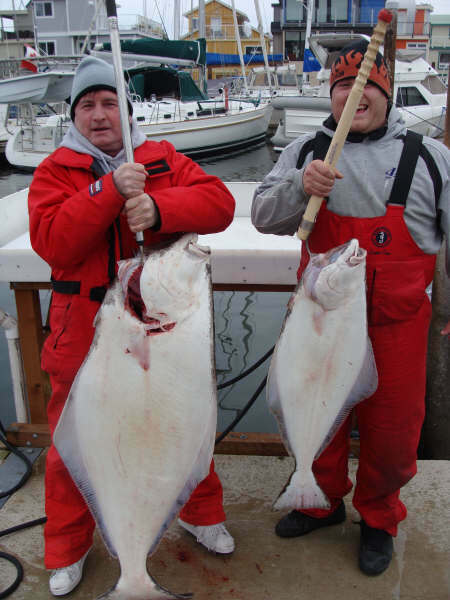 The other two fish are Gord Dalziel with a 90lbr and the third fish is Ron Hawlingsworth with a 30lbr. My best trip so far this year!". One day too late though, with the Island Outfitters Halibut Derby this weekend....a halibut that size could bring in some serious winnings. Trevor also adds that the salmon fishing has been red hot in the morning slower tides. So get out there and catch some fish!